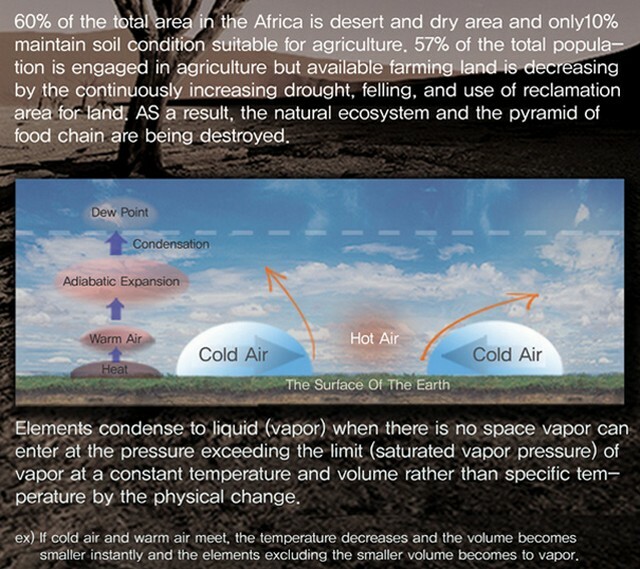 Everyone knows very well that deserts are parched plains and comprise of endless dunes of sand, with death coming from every direction. Watch your step – you might just ruffle the pincers out of a poisonous scorpion, oh yeah, and there’s that small problem of not having enough water to keep you hydrated. 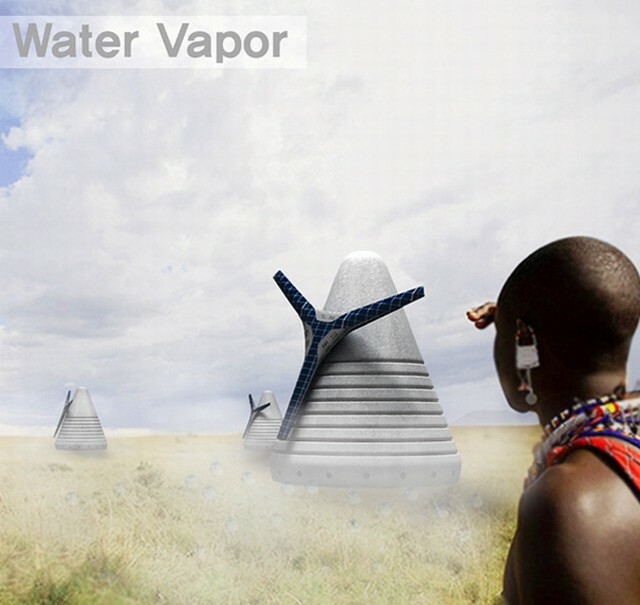 Here’s the Water Vapor Project concept that might change the way life in the desert works, as it attempts to hydrate the parched desert landscape of Africa, resulting in an environment where greenery will thrive based on the basic principles of water vapor. 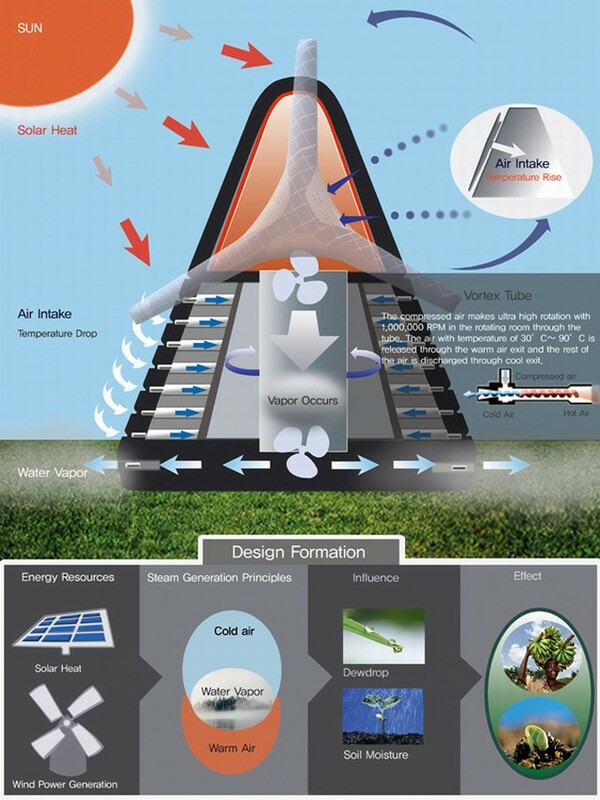 Basically, the device will use compressed air to turn the “propeller” at up to 1,000,000 RPM in the rotating room, and air with temperature ranging from 30 to 90 degrees Celsius will be released through t e warm air exit while the rest of the air is discharged via the cool exit – which is water vapor, and hence “watering” the surrounding area.